Park Jung Min plays Po Xi Huan, a Taiwanese-Korean second-generation chaebol from a Korean company who does not wish to inherit his family business. Kingone Wang is his Taiwanese cousin, Yan Han Xiang, who would gladly take over the company, and who runs the family business division in Taiwan. Han Xiang is a little annoyed that younger cousin is uninterested in taking over the business yet might inherit over him. 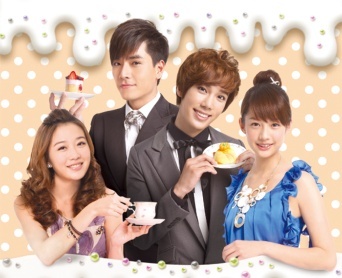 Xi Huan meets Mi En, a talented pastry chef who has caught the eye of Han Xiang, and gradually falls in love with her. Lia Lee is Chen Ai Lin, the daughter of the owner of a pastry conglomerate in Taiwan and also Mi En's college best friend, who is in love with Han Xiang.